Vote for Our Panel at SXSW! Marco Hansell of TwtMob has submitted the panel topic: In Living Color: Branding & Marketing to Urban Audiences to be featured during the Interactive track at South by Southwest 2011…and he’s invited the ladies of Mamalaw to participate as panelists, among noted experts in the social media and marketing space! 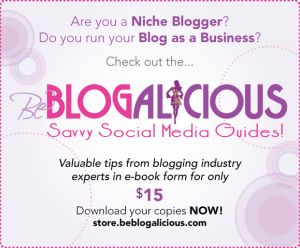 As you know, how brands market to multicultural audiences is important to us; in fact, it’s one of the reasons why we created Blogalicious Weekend. To really make a difference in the social media marketing space, we also created The b-Link Marketing Network, which connects brands with bloggers of diverse backgrounds for their campaigns. We’d love to have the opportunity to present at this session – but we need your votes! The deadline is midnight CST tomorrow, August 27. - Review trends and case studies of consumer online habits. - Review challenges of marketing. - Discuss the rules of engagement. - Discuss the importance of listening to audiences when developing key messaging and brand development. - Explore and examine the cross-promotional branding opportunities. - Discuss social and corporate responsibilities vs brand integrity. - Discuss the challenges and tips to maintain relevance in the changing social media landscape. - Examine the growing trends in blogs; beyond beats, gossip and fashion.